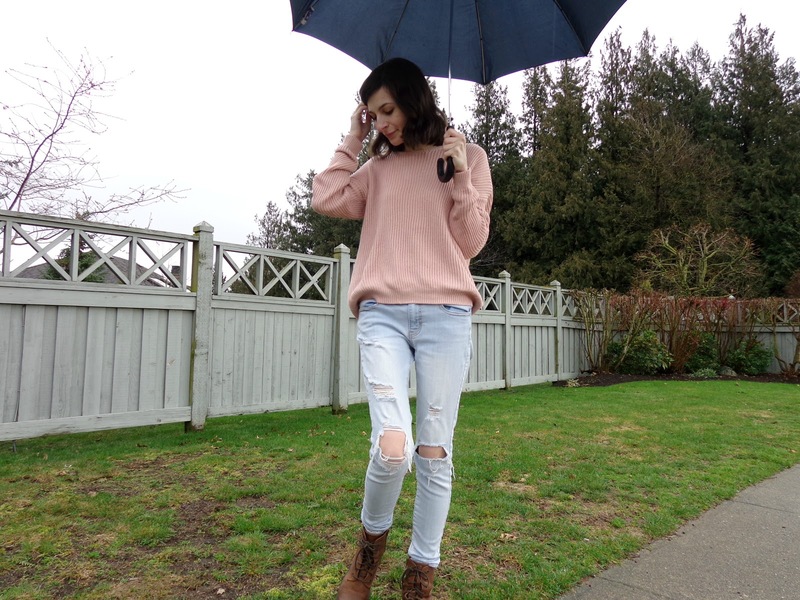 Nevertheless, after all these months of sticking to my white winter wardrobe, I like to take my inspiration from the season and dress in shades of rose and blush. 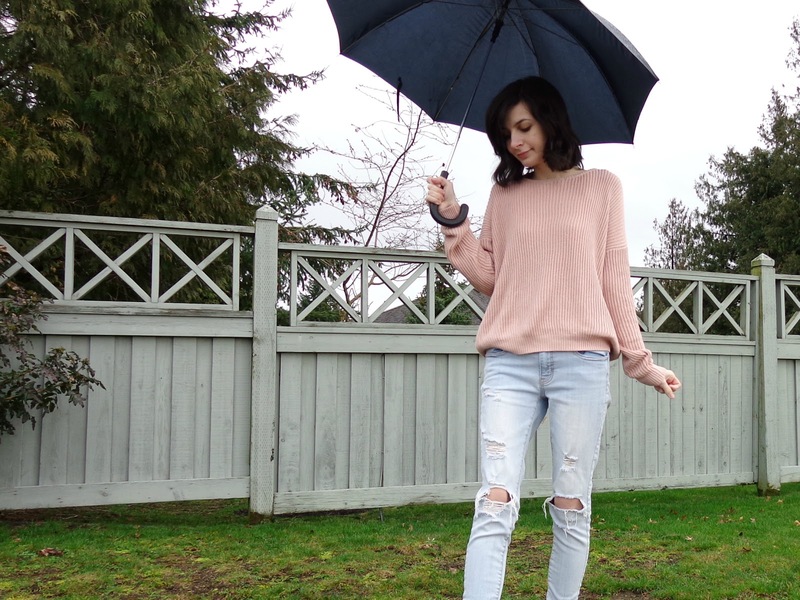 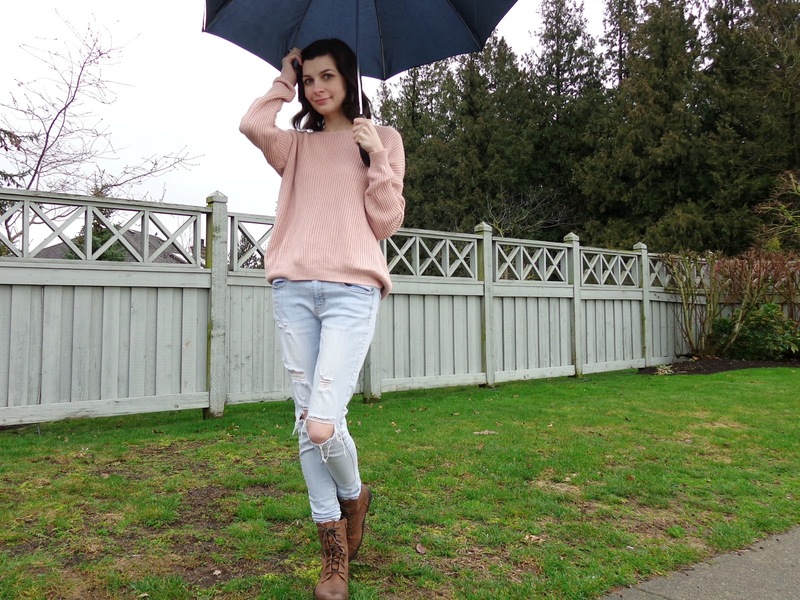 Today, I am pairing my favorite pink sweater with jeans and waterproof boots, and braving the weather for a rainy day walk outdoors. 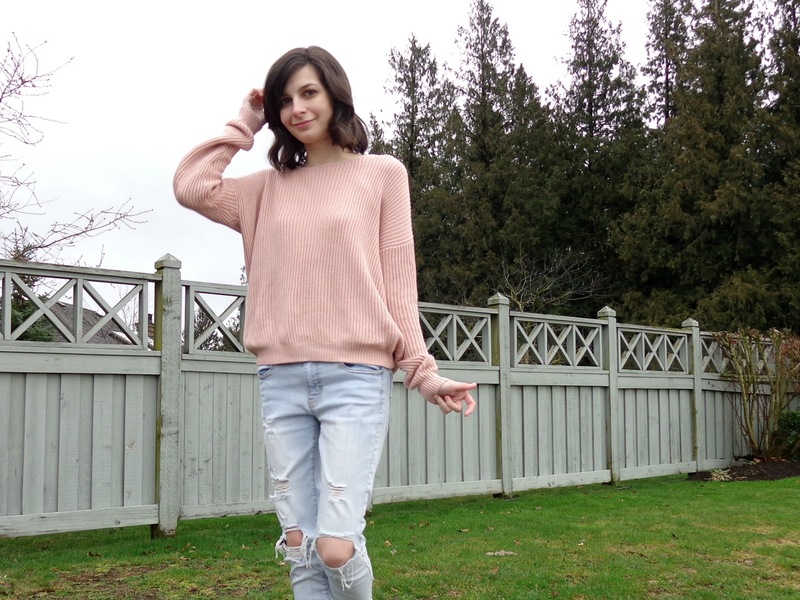 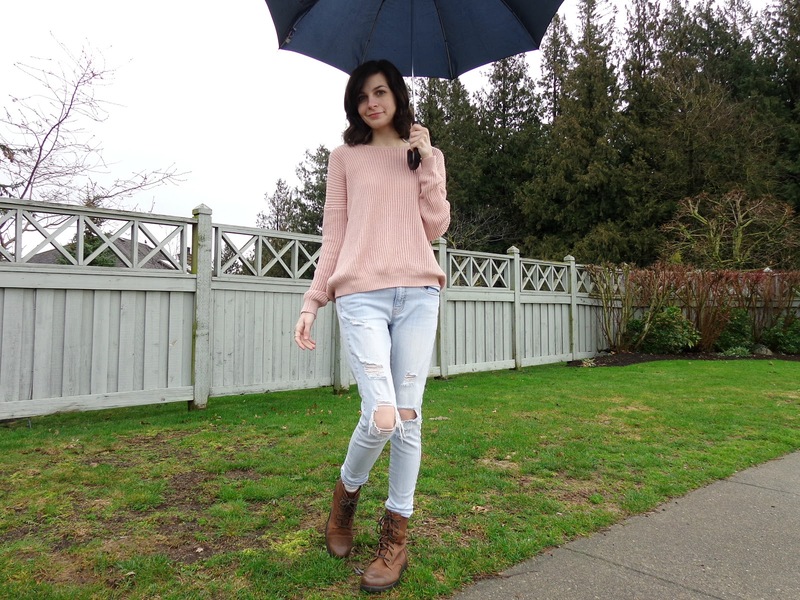 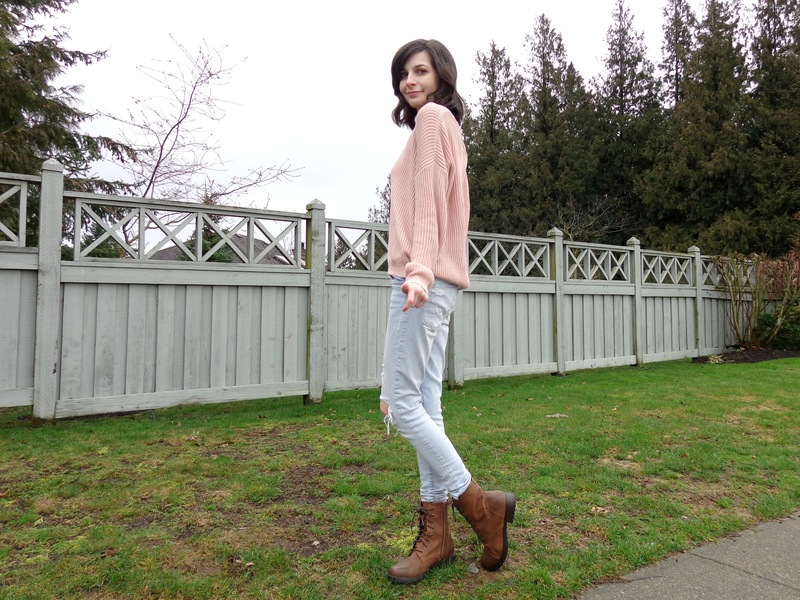 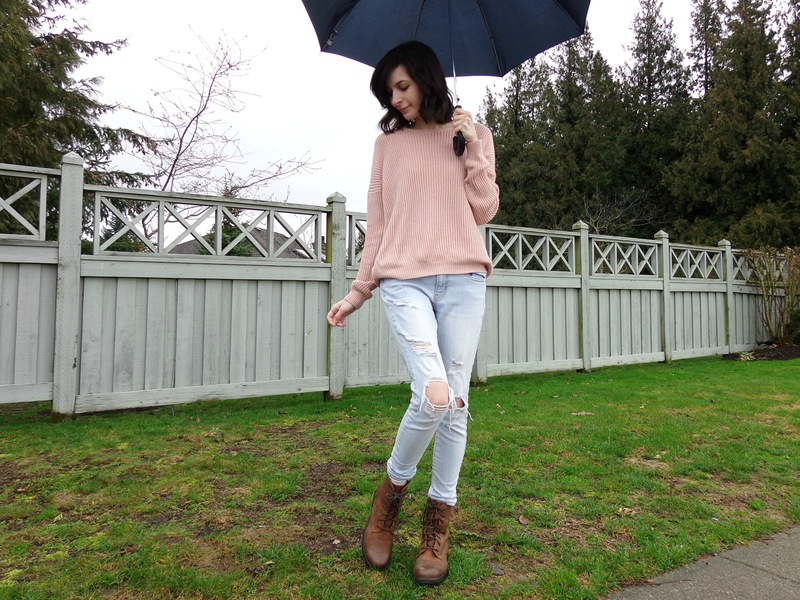 Sweater - Garage Clothing./ Jeans - American Eagle Outfitters./ Boots - American Eagle Outfitters.